At least 47 people were killed and 21 others were missing after Typhoon Damrey ripped into southern Vietnam. According to the Vietnam News, on Monday morning, workers found bodies of three victims, after a landslide buried nine people on Sunday night in Quang Nam Province's Dan Nuoc Village. The landslide was triggered by prolonged heavy rains. 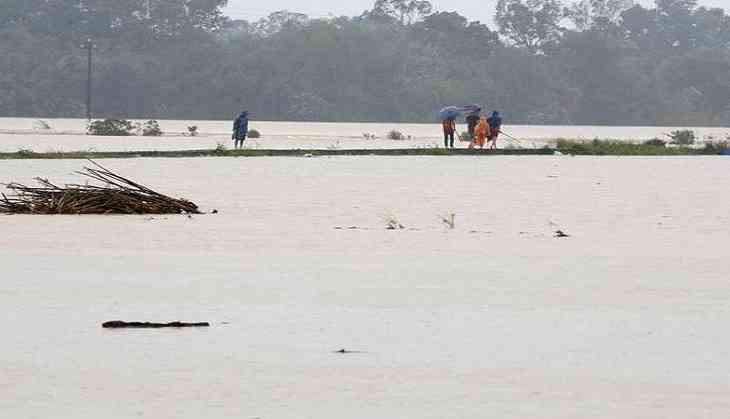 Due to the typhoon, which made landfall on the south central provinces on Saturday, inundation has been reported in many areas. The Central Steering Committee for Natural Disasters Prevention and Control on Monday showed the data which revealed that the typhoon had led to the collapse of 1,358 houses. The data further showed that the roofs of 114,886 other houses were blown off and damaged over 20,000 hectare of crop. The typhoon, which hit Vietnam on Saturday, weakened into a tropical low-pressure system and entered Cambodia.